Pollinators are a crucial part of the life cycle of plants, transporting pollen from male to female plants and triggering the process by which seeds are formed. The most well-known pollinators are bees but other insects such as moths, butterflies, flower beetles, pollen wasps and several species of flies also contribute to pollination. On an industrial food production level, pollination is extremely important – it is estimated that about 33% of our food is reliant on honey bees’ pollination activity alone. With bees in sharp decline all over the world, even a small garden can prove a safe haven for these pollinators, helping them to continue their important contribution to the ecosystem and food production. Making your garden pollinator-friendly doesn’t require much space or effort. Dedicating just a corner of your plot to a pollinator garden will ensure that these helpful insects will have the food and shelter they need to thrive – your neighbourhood will thank you for it! To create a diverse pollinator garden, which will provide for different kinds of insects, it’s important to provide a range of flowering plants, of many shapes and size. Choose a sunny section of the garden that is sheltered from the wind. Insects are fragile and particularly in winter, require a helping hand staying warm. Create large drifts of the same kind of flowers and plan ahead to have flowers blooming all year round. Avoid pesticides as these will harm pollinators alongside pests. A pollinator-friendly garden will help support local biodiversity and will also add interest and movement to your garden. A win-win situation! Composting is Nature’s way of reusing and recycling resources. It’s also an excellent way to put some household waste to good use and help your garden flourish at the same time! At its heart, composting is a method of harnessing the natural process of decay. Microorganisms like bacteria, fungi and other small creatures feed on dead matter, breaking it down into smaller and smaller parts. This is compost and it includes all the nutrients that would have been locked inside that dead matter. Compost delivers these nutrients back into the soil, where they can then be used by growing plants all over again. Adding compost to your garden can help maintain a healthy soil structure, fertilises plants and boosts their growth, and reduces environmental impact by recycling organic waste. The key to successful composting is keeping those bacteria, fungi and invertebrates happy and well-fed. Set up your compost bin in a shaded area, where the temperature is likely to remain stable. Choose a bin that will keep the rain out but allows some ventilation and drainage. Aim to balance the mix of wet, green material with dry, woody material so as to maintain a stable level of humidity inside your bin. Manure, kitchen waste, removed weeds and grass clippings should make up about 50% of what goes in the compost bin, with things like cardboard, dead leaves, straw and wood chippings adding dry bulk to the mix. Periodically turning the heap over will help maintain air flow and let you monitor humidity levels – compost mustn’t be allowed to dry out. To enjoy the benefits of compost, simply spread it out over the layer of soil in your garden. Rainwater will carry the nutrients downwards and invertebrates like earthworms will help mix it in with the soil. There’s nothing more satisfying than looking out over a beautiful lawn in top condition. A lawn needs year-round care in order to remain the thick, green carpet every homeowner wishes for. Assuming you have already laid an area to lawn, there are some practicalities to consider. Let’s start with watering. The grass needs moisture to stay healthy, like any other plant, but watering in incorrect amounts can affect its appearance. A lawn that is dull and has lost its springiness, with the grass leaves starting to roll up, needs more water. A lawn that has been overwatered will be more susceptible to diseases, weeds and insect damage. Aim to water about an inch for sandy soil and at least half an inch for clay soil – put an empty can on your lawn so you can see how much water your sprinkler is delivering. Another important consideration is aeration. Grass has trouble growing in compacted soil that doesn’t have some airflow so introducing more air into the soil will help keep roots strong and well-nourished. Use a garden fork to aerate your lawn, particularly if it is prone to drying out or gets heavy use. Aerate the lawn at least once a year to keep the soil quality optimal. Scarifying also contributes to a healthy lawn but it needn’t be scary! All this is is the removal of dead moss, debris and dry grass by running a rake over the top of the lawn. This should be done lightly in spring and more heavily in the autumn months. Scarify over short, dry grass so prepare by mowing the lawn one to two weeks beforehand. Do not push the rake too deeply as this can damage the roots of your lawn grass. Most lawn food packaging will tell you everything you need to know about when and how much to feed your lawn. Different foods are suited to feeding in different seasons and will help promote resilience to disease, supplement the nutrients present in the soil and improve resistance to cold. The most important thing is to feed your lawn evenly or you might end up with lawn that is greener in one area than in another! Mowing your lawn doesn’t only keep it looking tidy but it also helps cut down on weeds, which do not withstand damage to their leaves as well as grasses do. 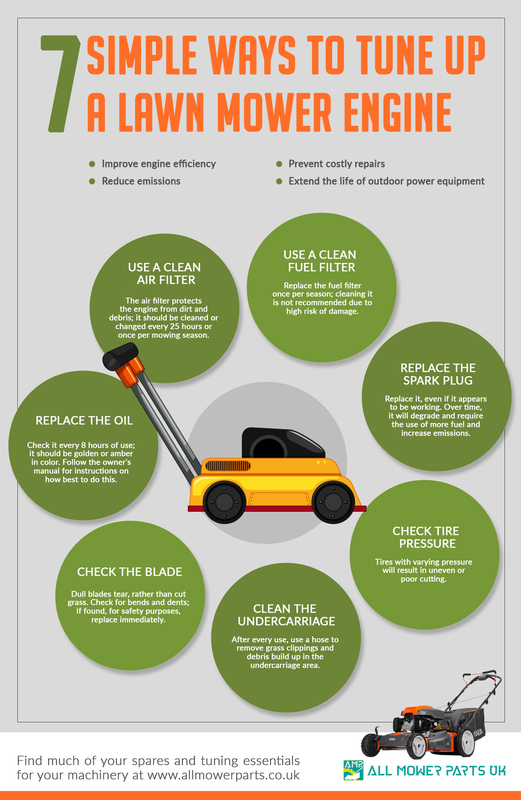 Keep your mower in good shape – a sharp mower blade will clip the grass leaves neatly while a dull blade will rip and tear at them, allowing the entry of disease pathogens. Never cut more than one-third the length of the grass blades in one mowing session as this weakens the grass. And before you give the lawn a crew cut, remember that longer grass keeps the soil beneath it cool and helps to trap in moisture, both of which contribute to stronger roots and healthier blades. To neighbourhood wildlife, a garden looks like an all-you-can-eat buffet and keeping pests under control is a constant battle for most gardeners. It can be tempting to blitz the place with pesticides and chemical deterrents but there are plenty of environmentally friendly ways to keep your plants safe without using potentially dangerous substances. The first step is to identify the enemy. Aphids, grasshoppers, and Cabbage White butterflies are the usual suspects. The best way to deal with these bugs is… more bugs! Making your garden appealing to predatory insects such as ladybirds, spiders and ground beetles will keep the pests away without much effort from you. Some of these can be purchased directly or you can add some insectary plants like yarrow, fennel, coriander and dill to your garden. Molluscs like snails and slugs are easy to control thanks to their love of beer. A container of fresh beer left out overnight will attract these slimy intruders and they will drown in the liquid, presumably happy as can be. Squirrels are a tougher nut to crack, in terms of pest control. They are intelligent and determined, with admirable problem-solving skills that make them a serious threat to fruit trees, bulbs and young plants. Sprinkling hot spices like paprika, black pepper, cayenne pepper and chilli flakes around plants will deter squirrels, as will Tabasco sauce and garlic. Apparently squirrels don’t like spicy flavours. Sometimes the threat comes from above. Birds can seriously hinder efforts to seed a lawn, nibble at fruit and tender plants, can carry diseases and make a mess with their droppings. Luckily, there are a number of inexpensive methods to keep birds away. A colourful pinwheel or two will scare birds away, as will CDs strung on wires in trees. Any objects that flashes in the sun or moves with the wind will make any avian pest think twice. If all else fails, physical barriers like netting or fleece can be used to cover vulnerable plants. Another way to deter birds and squirrels from your plants is to feed them. This may seem counterintuitive but the thinking is that with seeds easily available on a bird table, digging up bulbs or nibbling on plants may seem like too much trouble and the critters will go for the easy meal instead. There are six main types of soil, each with its own specific needs for fertiliser, aeration and moisture. Peaty soil, for instance, is spongy and often moist to the touch and dark in colour. This is because it retains a lot of water and has poor drainage. It is acidic and this slows down decomposition, which means that it takes longer for nutrients to be replenished. For successful growing, the regular introduction of compost and lime will help to reduce acidity. Digging drainage channels can also help remove some of the moisture that builds up within peaty soil. Chalky soil is usually composed of larger grains and may even have stones in it. It drains well but this also means it risks drying out. Calcium carbonate, the main component of lime, is often present in the soil, giving it an alkaline pH. Adding mulch can help chalky soil to retain more moisture and adding fertilisers, manure and organic matter will balance out the alkalinity. Heavy and sticky when wet, clay soil will turn hard when dry, making it difficult to cultivate most of the time. This kind of soil is usually packed with nutrients, thanks in part to poor drainage preventing them from being washed away. It is usually acidic. Adding a generous layer of compost or humus (decaying organic material) and digging it into this kind of soil will result in good plant growth as it balances out the lack of drainage and aeration. Sandy soil, as you’d expect, is very grainy. It retains very little water thanks to its excellent drainage and it is low in nutrients for the same reason. Because it is quite light and airy, it is easy to cultivate. The key is to bulk out sandy soil with mulch, which also helps it retain moisture, and replenish its nutrients regularly with organic fertilisers. Silty soil is somewhat slimy to the touch, a result of its poor drainage and high moisture content. It retains plenty of nutrients so the best way to boost plant growth is to improve this soil’s drainage with the addition of compost or other bulky organic material. The most low maintenance soil is a combination of clay, silty and sandy soil known as loam. Slightly moist to the touch and fine grained, loamy soil drains well while still retaining moisture and nutrients. The priority for gardening in loamy soils is to prevent depletion and degradation of its already ideal structure. Reintroduce nutrients through mulch and compost, and rotate crops regularly to allow the soil time to recover. There are hundreds of gardening tools out there, from tiny snips used to prune houseplants to ride on mowers, each suited to a particular task or tasks. Understanding your specific gardening needs means that you will never be caught without the right tool and won’t spend money on something you may never use. For the outdoor home gardener, there are a few factors to consider. Firstly, the kind of gardening you are doing. Do you have an acre of lawn and an orchard to tend to? Or a handful of pot plants and a small patch of turf? Is your garden mainly ornamentals, vegetables or trees? The size of the jobs at hand will also determine whether you can get the job done with hand tools or whether you will need to invest in power tools to move things along faster and more efficiently. Taking lawn mowers as an example, there are electric, petrol or even robotic mowers out there, each with their own pros and cons. Determining which one is right for you depends on your budget, how many extra functions you would like, how much noise you think your neighbours will put up with and how much lawn you need to maintain. The same process will help you choose the right hedge trimmer, leaf blower, or vacuum. Maintenance is an important consideration too. For most hand tools, correct storage and regular cleaning will help quality metal parts last a good long while with little effort. For motorised or power tools, it’s important to know what kind of maintenance will need to be done and how often. Taking lawn mowers as an example again, petrol-powered machines will need different care to an electric device – the mower manual will contain this information. For any mower, regularly cleaning all the parts will help prolong their lifespan and frequent visual checks of component parts like wheels, blades, chute and chassis for damage or wear will help determine when replacement parts are needed.